With graduate recruitment, the challenge is to attract the best possible people while making sure they’re the right fit for the company. 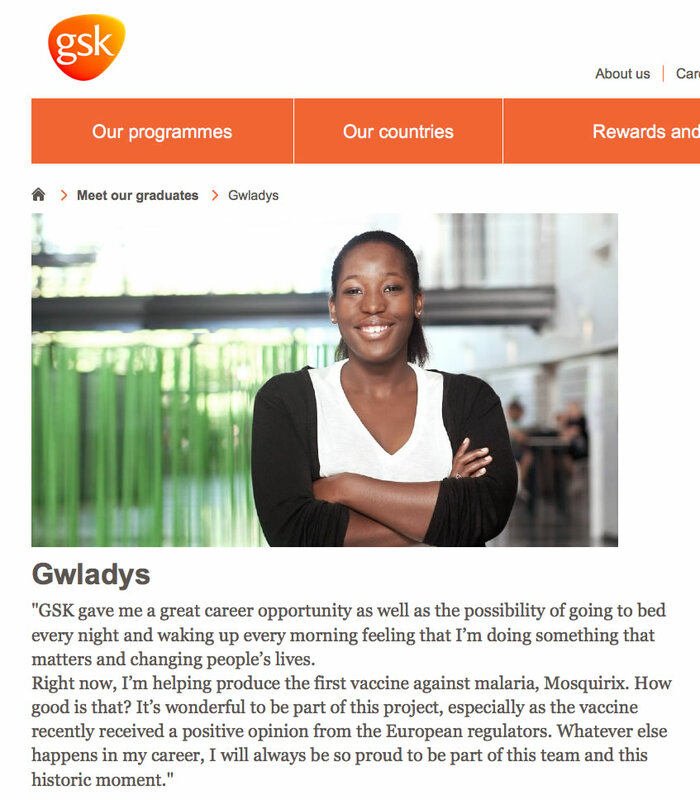 For a couple of years now, I’ve worked with MSLGROUP (part of the Publicis Group) to create striking graduate recruitment campaigns for GSK. 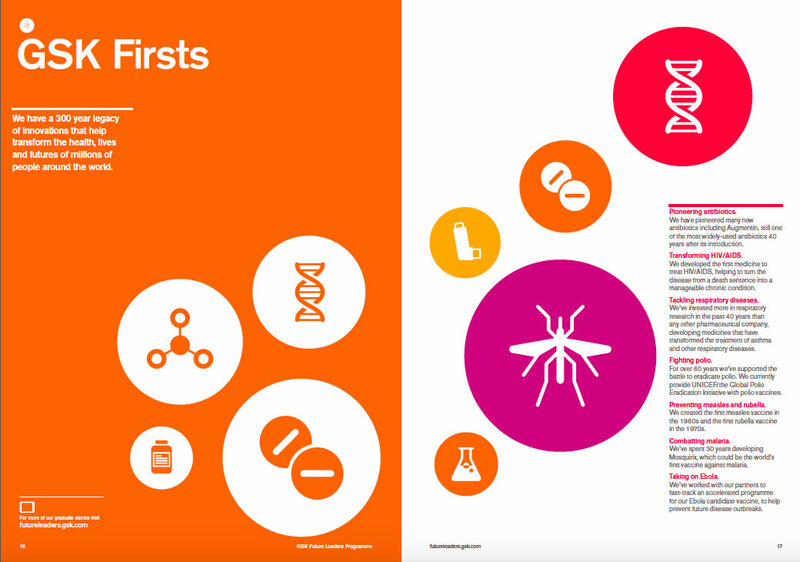 I’ve written brochures and digital content, including copy for GSK’s Future Leaders Programme website. 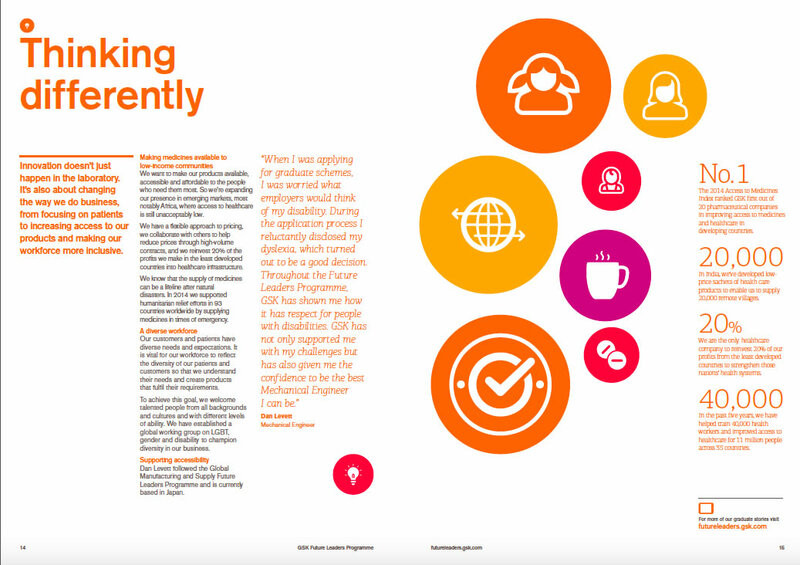 The most interesting element of this job is interviewing young people across the world who are taking part in GSK’s graduate training programme. This has involved early morning calls to Malaysia and late night calls to Mexico, tracking down recent graduates and hearing about their experiences of the programme. Each year, there’s a different emphasis and it’s my job to elicit great stories to bring the campaign to life for the next generation of recruits.